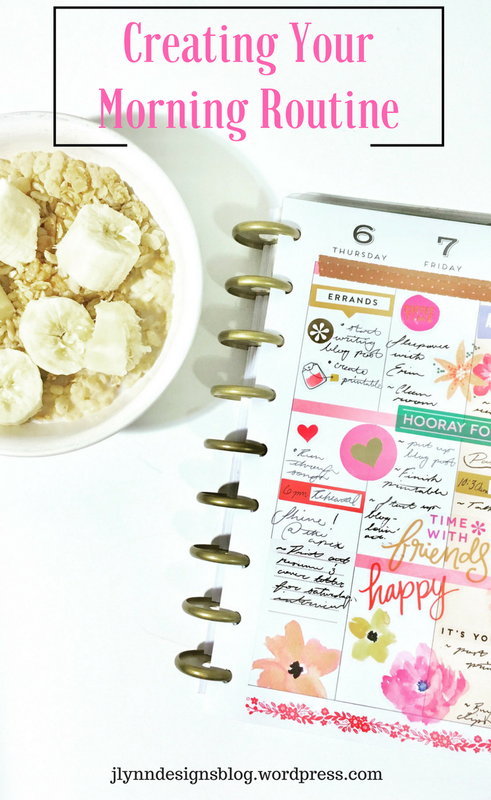 Morning routines are looked at as an endless list of to-do’s and waking up at 4am to do yoga or plan, but there’s a REALISTIC morning routine that can work for you! Let’s be real here- we’ve ALL tried some crazy routine at some point that lasted for one day and we hated every second of it! But it doesn’t have to be a huge change, or something you’re dreading. In fact, you’ll barely have to change anything about your morning! So most “How to Create the Perfect Morning Routine” posts usually start off with tell you to wake up super early, and give you a list of 20+ things to do before you make it out the door. If you’re like me, and you can barely think in the morning and let alone even remember your own name, then I have the perfect morning routine process for you! Have a light routine. Do not try to plan your morning down to the second. No one wants to wake up and follow a list. Your morning routine should be natural, something you won’t have to think about; that’s what makes it a routine! Work off of what you have. If you aren’t a huge morning person, don’t try to wake up at 4am. If you hate yoga or reading, don’t force yourself to do those things just because! Set some goals for yourself. On the flip side of things, you should still pick 1-3 things you want to try out/incorporate into your morning routine. These can be anything you’ve been wanting to start like working out, or showering in the morning instead of before bed. Start with a beginning and end time. Knowing how much time you have is the biggest factor in creating a successful morning routine! Make a list of what you already do. Here’s a good place to start. Make a list of what you do immediately when you normally get up. For me, I go straight to the bathroom to brush my teeth so that’s my number one on my routine. Group Similar Tasks. If you’re like me and make your way to the bathroom first thing, then complete whatever other tasks you have to do in there, or wherever you start. If you don’t make your routine flow, your chances of it sticking with you are slim. So since I’m already in the bathroom brushing my teeth, it’s easy for me to just hop in the shower quick, and then get out and do my hair and makeup since I’m already in the bathroom. Know not all mornings will be perfect. If you are inspired to be really productive in the morning and get stuff done before your day even starts, know that it’s okay if you aren’t always up to that! Sometimes we don’t always wake up inspired or motivated. Be flexible with yourself and your needs! I hope that this helps you to create a productive/realistic morning routine for yourself! More printables will be coming soon so stay tuned! Useful topic. Have you come across the Things app? Anyway, I called by to leave my thanks for your recent decision to follow Learning from Dogs. Thank you! Yes I actually have! I love the design of the app but I just can’t beat a pen and paper system! Thank you! Totally agree. I carry around a small notebook in my shirt pocket and note down anything that i wish to remember and then transfer to the app. Likewise on my iPad I make a note and send it to myself as an email. Because my iMac, where the app is installed, is my main hub, so to speak. As much as I am overloaded with emails just now I am going to subscribe to your blog because I am at the age where I struggle to stay on top of stuff. I am sure that starting the day properly is the key to a stress-free day! Thank you!! Happy to hear you’ve created a good planning system! Even just a simple to-do list can easily get the job done. Thank you for subscribing!